Mrs. Piggle-Wiggle is back with a brand-new bundle of wonderfully magical cures for any bad habit—from watching too much TV to picky eating to fear of trying new things. With a little help from her pets, Wag the dog, Lightfoot the cat, and Lester the pig—and a trunk full of magnificent powders and potions—she can solve any problem, big or small. 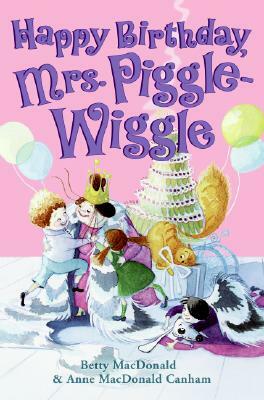 And while Mrs. Piggle-Wiggle is working her magic, the children are working some of their own, planning a boisterous birthday bash for everyone's favorite problem solver!